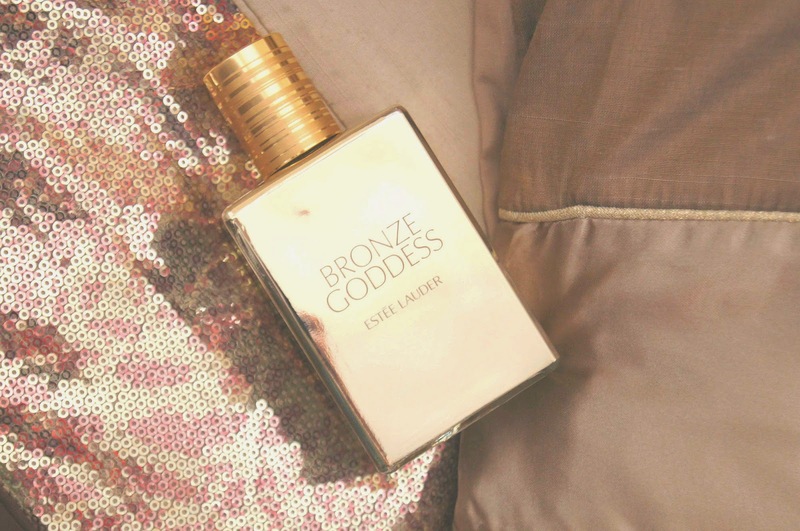 What better way to celebrate summer than getting Estee Lauders most loved perfume: Bronze Goddess. Bronze Goddess has been on the shelves of Estee Lauder counters for many years now but has always on been a limited addition perfume. The scent only goes on sale for 3 months and often sells out before those 3 months are over. It's raved about and this year I've definitely realized a huge increase of people blogging about it and noticing it. I bought this about two weeks ago which finalized my debate over the summer perfume to get. I am soon going on holiday and I wanted a new perfume so the smell had to be fresh and summery. The debate was between a Kiehl's perfume* and this one. The lady at the counter told me that she believed this one would be worth it and if I did want it that I would have to get it there and then because there was only 6 bottles left. Now I am not a spender and whenever I do spend a large sum of money I have to think about it and prepare myself for the spend. This 5 minute decision was very unlike me. The perfume was around £41 (with discount) and is 100ml. The bottle is presented wonderfully as it is completely mirror gold and very sophisticated, although I did like the old bottle that it was in a few years ago. It is a big bottle that will last a while, hopefully. Of course, the smell is the best bit. It's so fresh yet warm and delicious. It screams 'summer'. The main tones for me are coconut and sandalwood that make it a tropical smelling perfume. Great for holidays and summer relaxation. This perfume brings back great memories of when I was younger and my mum used to have it. Since she ran out I've always known that 'one day I will have to get that perfume'. What is your favourite summer fragrance? This looks so dreamy haha! I love how you've captured it too! My favourite summer fragrance and fragrance all together is Si by Giorgio Armani!